Drain the Kalamata pitted d olives. Cut half of them into thin slices and place aside. Put the garlic and the pine nuts in a food processor until finely chopped. Add half of the Kalamata pitted olives and process until homogenized. 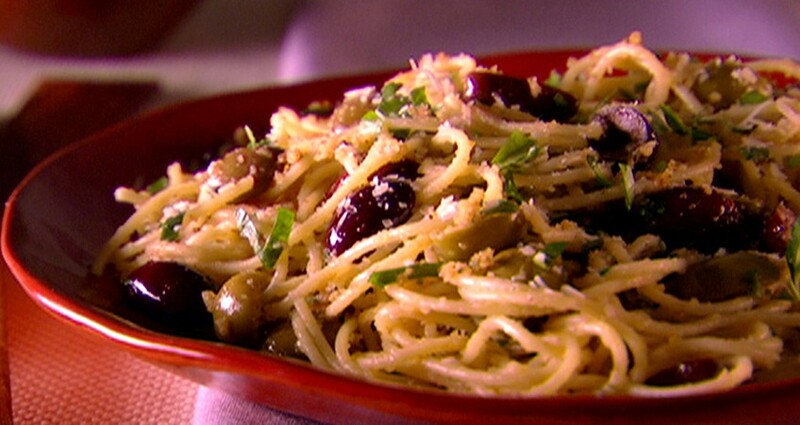 Remove the mixture to the bowl and add the slices of Kalamata olives you prepared before by hand. Before serving, toss with hot cooked al-dente pasta.